Kay Brown has survived two liver transplants. Kay, from Sprotbrough, has told of her incredible battle against the odds to urge others to sign up to the organ donor register. 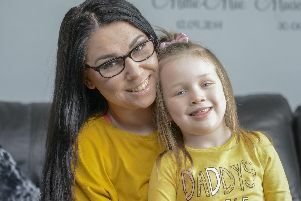 She was told that she could be on the operating table for up to 14 hours – and when her parents and partner Jason received a call just five hours into the procedure, they feared the worst.